Campaigners fighting for the full restoration of maternity and children’s services to Moray have given the recent recruitment boost a cautious welcome. Last week, NHS Grampian revealed the recruitment of two locum paediatricians will mean less mums-to-be will have to travel to Aberdeen or Inverness to give birth due to the reintroduction of elective casareans. However, the health authority has warned the service may have to be withdrawn again in February unless the recruitment situation improves. Yesterday, campaign group Keep Mum welcomed the improvements as “good news” but pressed for further action to be taken quickly. A spokeswoman said: “We are very concerned that NHS Grampian is committed to the restoration of a consultant-led service in the long-term. In the long-term is simply not good enough. 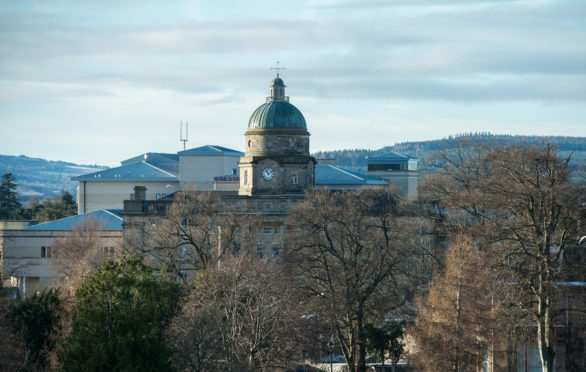 A revised action plan has already been submitted to the Scottish Government by the NHS detailing proposals for how services will be restored to Moray. It is understood the first stage of the vision involved an independent team visiting the Elgin hospital last month. Sue Swift, divisional manager for women and children’s services at Dr Gray’s, said “encouraging progress” was being made with the action plan and hoped it could be published fully “shortly”. She added: “We appreciate this isn’t going to solve all of the issues we face and we remain committed to the restoration of a consultant-led service in the long term. Meanwhile, Health Secretary Jeane Freeman, will visit Moray this week in order to learn more about progress being made to improve services.